WATERLOO – The Natural Sciences and Engineering Research Council (NSERC) awarded 17 Wilfrid Laurier University researchers a total of $1.73 million dollars in funding. Three Laurier students received $273,000 in doctoral scholarships. The results from NSERC’s 2015 Discovery Grant, Research Tools and Instruments and Canada Graduate Scholarships competition were announced June 22 at the University of Ontario Institute of Technology by the Honourable Ed Holder, minister of state (science and technology), and Mario Pinto, president of NSERC. The awards included 3,800 research grants and scholarships totaling more than $443 million. 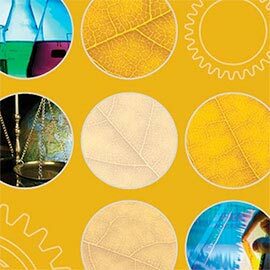 A wide range of Laurier research projects received funding, including: ways that the central nervous system adapts to optimize muscle effort during tiring exercise; design and creation of new organic molecules that can assemble themselves in a predictable manner to form new materials; a new framework, based on multiscale mathematical models, developed for the analysis of tiny systems that can be as small as 1/1000th the diameter of a human hair; and understanding and predicting water flow and storage processes in landscapes that are changing due to permafrost thaw. Angèle Hamel, Physics and Computer Science: algebraic combinatorics of symmetric functions ($55,000). Ian Hamilton, Chemistry: semiconductor nanocrystals, gold nanostructures, toxic metals in the environment ($100,000). Jayne Kalmar, Kinesiology and Physical Education: cortical and spinal compensatory mechanisms during neuromuscular fatigue ($120,000). Ken Maly, Chemistry: new materials based on the self-assembly of polycyclic aromatic hydrocarbons ($175,000). Bruce McKay, Psychology: age-dependent neurobehavioural mechanisms mediating the motor effects of toluene ($120,000). Roderick Melnik, Mathematics: multiscale models for nanostructures with geometric phases and time-dependent coupling ($125,000). Stephen Perry, Kinesiology and Physical Education: the role of plantar-surface mechanoreception in dynamic balance ($110,000). William Quinton, Geography and Environmental Studies: runoff generation in thawing discontinuous permafrost terrains ($165,000). Chunming (Victor) Shi, Operations and Decision Sciences: school of sustainable operations through product philanthropy: models and applications in food inventory donation ($110,000). Scott Smith, Chemistry: global variability in dissolved organic matter: implications for metal bioavailability and risk assessment ($165,000). Cristina Stoica, Mathematics: dynamics of mechanical systems with symmetry ($55,000). Michael Wilkie, Biology: the neurophysiological basis of ammonia toxicity and tolerance in fish ($165,000). Douglas Woolford, Mathematics: stochastic models and statistical methodology for marked spatio-temporal point processes with applications to wildland fire management ($70,000). Kaiming Zhao, Mathematics: irreducible weight and non-weight representations of some Lie algebras ($70,000). Louise Dawe, Chemistry: highly porous architectures through designed rational self-assembly ($20,000). Michael Haughton, Operations and Decision Sciences: modeling interfaces of hinterland transportation and marine logistics in optimizing ocean container terminal efficiency ($20,000). Michael Suits, Chemistry, received an NSERC Research Tools and Instruments (RTI) grant. “This level of funding not only helps to further our faculty members’ research programs, but it also provides the resources necessary to support research experiences for students,” said MacLatchy. NSERC-sponsored Alexander Graham Bell Canada Graduate Scholarships were awarded to students Katie Psutka (biological and chemical sciences), Nicole Cathcart (chemistry) and to Ryan Connon (Environmental Studies and Geography) in the doctoral (3 years) category. For more information about NSERC’s programs, and to view its news release, please visit the NSERC website.